You’re Wasting Too Much Time Finding An Idaho Court Reporter. Let Us Do It For You. 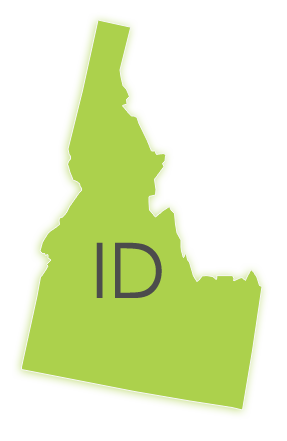 Discovery Litigation Services provides certified Idaho court reporters at a moment’s notice. Our wide reaching webwork of qualified court reporters allows us to bring you the best Idaho court reporters in an instant. There is no deposition we can’t accommodate, and there is no timeframe too constrained to prevent you from receiving the most experienced Idaho court reporters available. It is our duty to bring excellence to the industry at a price that is easy on the budget. We go beyond other court reporting firms by offering comprehensive litigation services on point at a fair price. We democratize access to qualified professionals all across the the globe. It is our mission to raise the bar without monopolizing your budget. We provide experience, expertise, and excellence that won’t break the bank. Discovery Litigation Services provides you with a platform from which you can fully manage your deposition. With one screen you can review documents, stream the deposition, and review and submit invoices. With this power of oversight you will easily manage your costs and protect your bottom line. As a rule, we do not believe in forcing you into high-cost unnecessary services that do not accurately fit your needs. We offer the highest quality at affordable prices, providing access to excellence on any budget. Without superfluous line item charges infesting your topsheet, you have more flexibility in allocating funds to where it can be most effective. We’re intent on providing true online real time reporting enabling monitoring of depositions scheduled, costs and complete transparency via web and mobile applications at all times to all interactions with Discovery Litigation Services. It is not our modus operandi to lock you in and sneak in extra charges. We ensure you won’t be surprised with hidden fees. The Discovery Litigation Services interpreters are ready and waiting to work for you anywhere in the world. There is no deposition too remote. Discovery’s streamable interpreters provide you expert translations no matter where you need it. Our stable of experienced interpreters coupled with high speed streaming technology ensures there is always someone available for you. If you have an internet connection, we can get you what you need. Applying modern technologies in the legal world brings you flexibility and time saving solutions with unparalleled access to experienced interpreters (court reporters, mediators, arbitrators, legal videographers, document review attorneys, and legal professionals). Discovery Litigation Services is committed to simplifying access to the highest quality legal solutions. Quality shouldn’t be dependent on budget size, connections, or location. Do you need a Spanish to Chinese translator in Wyoming? Not a problem. Discovery Litigation Services brings high quality legal services to your deposition anywhere in the world in any language that is needed. From court reporting and interpreting to legal videographers and document review attorneys, we will cover every aspect of your deposition. Our professionals are standing by. Give us a call to see how we can maximize your time and take some of that stress off your shoulders.